in the Round Rock/Hutto ETJ. 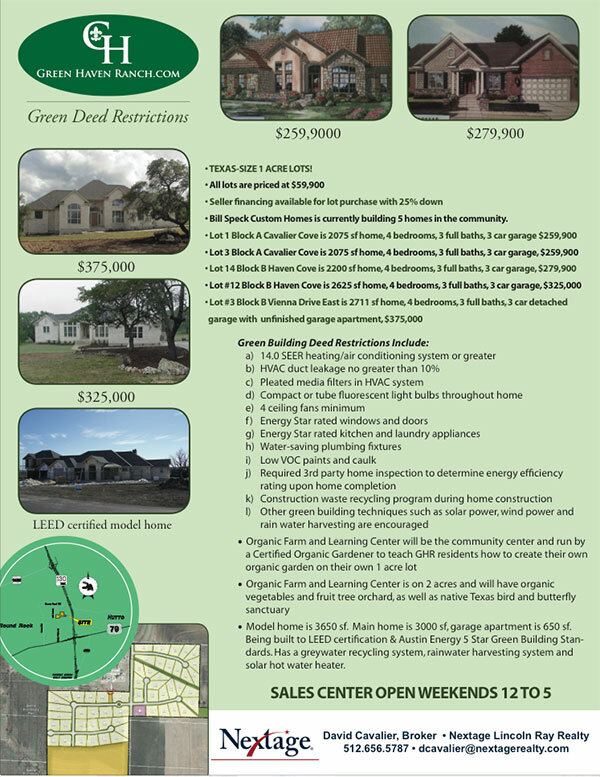 Round Rock and Hutto are two of the fastest growing markets in central Texas! Seller Financing Available with 25% Down! The organic farm address is 650 Haybarn Lane Hutto, Texas 78634. Directions from Austin: Mopac Expressway North to Toll Road 45 East, to Toll Road 130 North, to Hwy 79/Hutto exit. Cross Hwy 79 to County Road 108. County Road 108 runs parallel to Toll road 130. Left on Limmer Loop. Left on Haybarn Lane to Green Haven Ranch community. Directions from Georgetown: I-35 North to Toll Road 130 south, to Limmer Loop exit. Right on Limmer Loop to left on Haybarn Lane to Green Haven Ranch community. 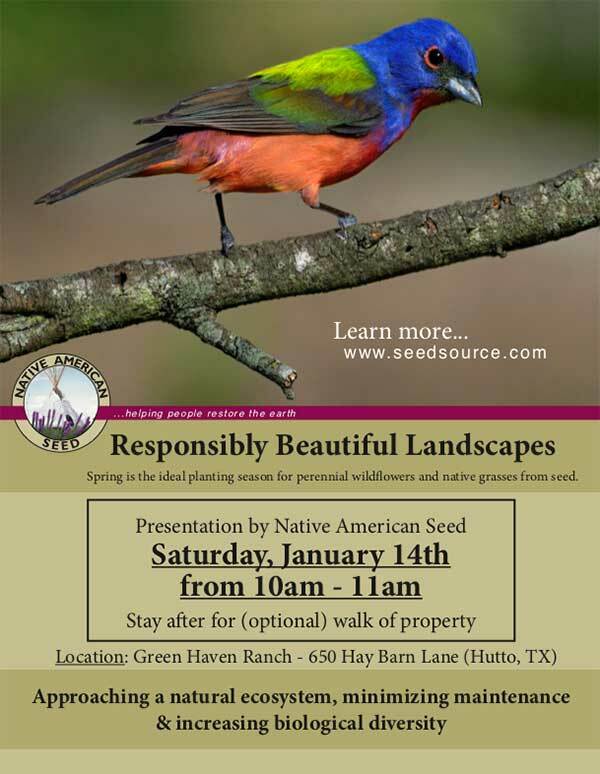 Green Haven Ranch's organic farm has been distinguished as an Official Certified Wildlife Habitat site by National Wildlife Federation.